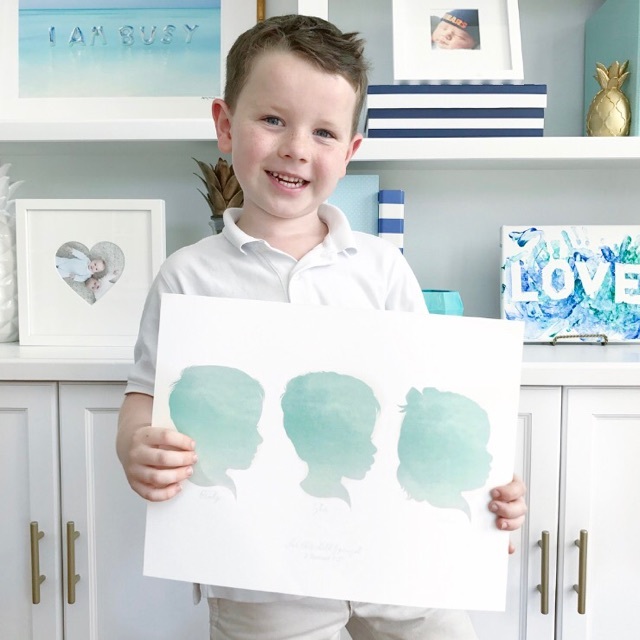 Dapper & Darling Watercolor Silhouettes: These are the absolute sweetest silhouettes, and the detail on them is just incredible! We couldn’t be more thrilled with how the print of Emily’s little ones turned out. Such a precious keepsake! 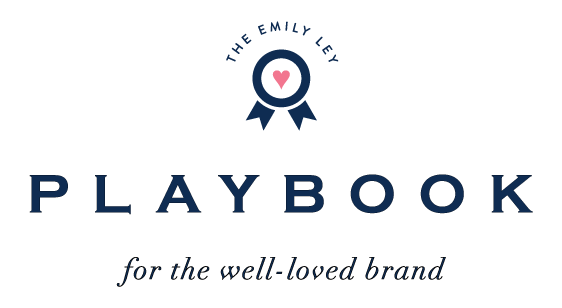 $500 Giveaway: We’ve teamed up with a few of our very favorite brands to give away $100 worth of product or a gift card to each of the 5 brands involved. Enter to win and see more details here. Breakfast Love: Over 160 healthy breakfast bowl recipes all in one book. Such a great resource for new breakfast ideas! 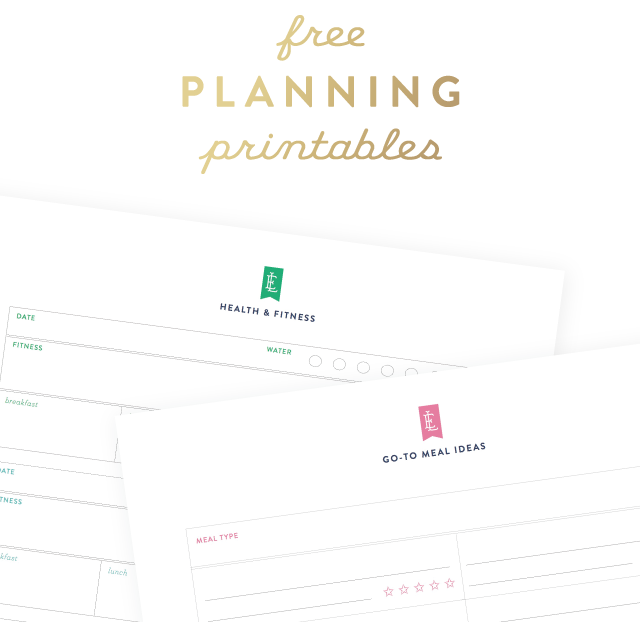 Our Meal Plan Notepad: Plan all your meals at once before writing them in your Simplified Planner! 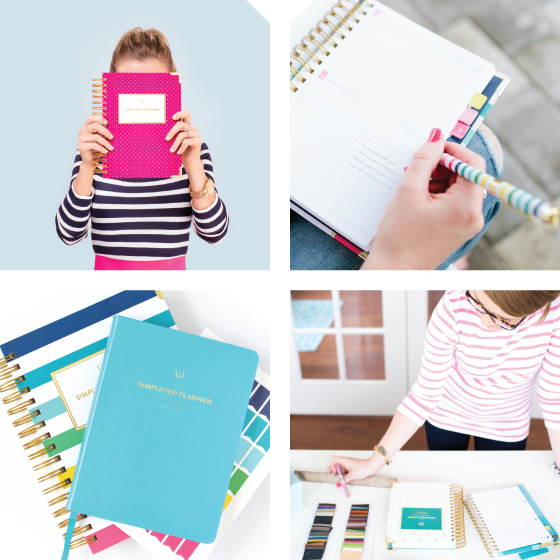 Our meal planning notepad is perfect to tear off and bring to the grocery store with you. Kitchen + Pantry Containers: The Container Store is offering 15% off of all kitchen and pantry items! We love all of their fridge storage options. 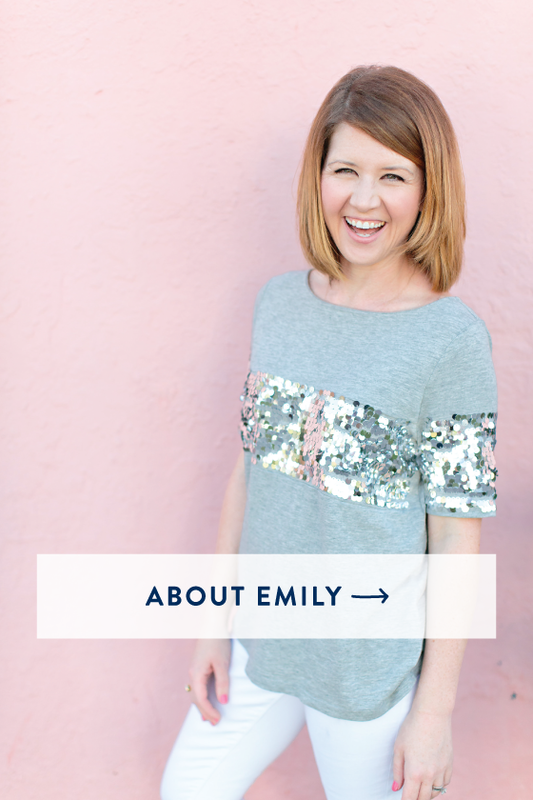 Chambray Top: We love a good chambray top, and this one meets all our criteria. Perfect for going from daytime to a night out with the girls! Easy Garlic Chicken: This chicken looks so simple and yummy. We’ll be adding it to our weekly meal plan ASAP! B.P. Stud Earrings: These colorful stud earrings are on sale for under $10 again (in select colors!). 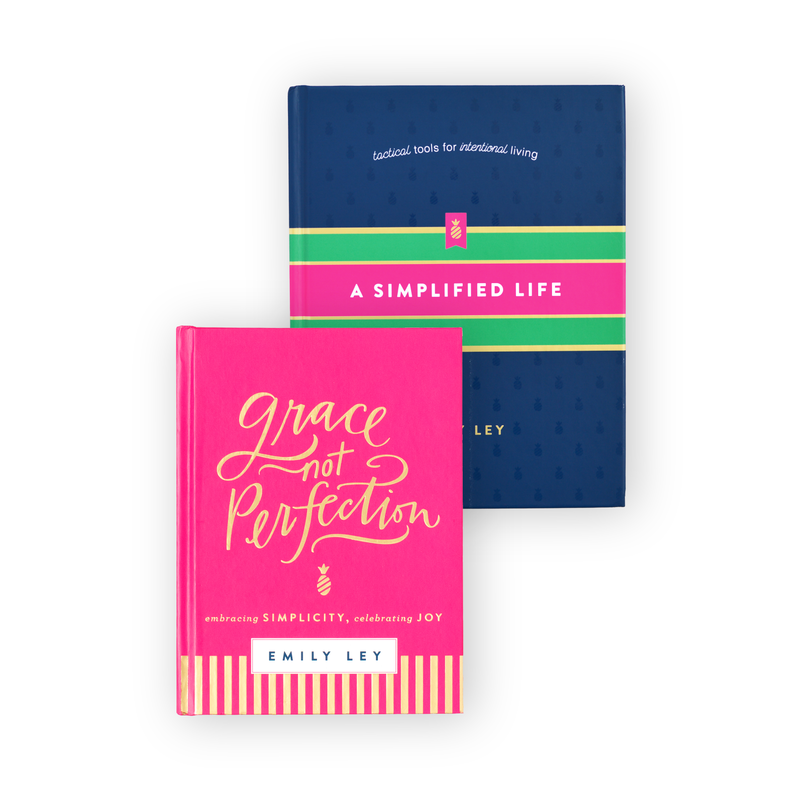 These are perfect for adding a pop of color to any outfit, and you can never go wrong with free shipping. 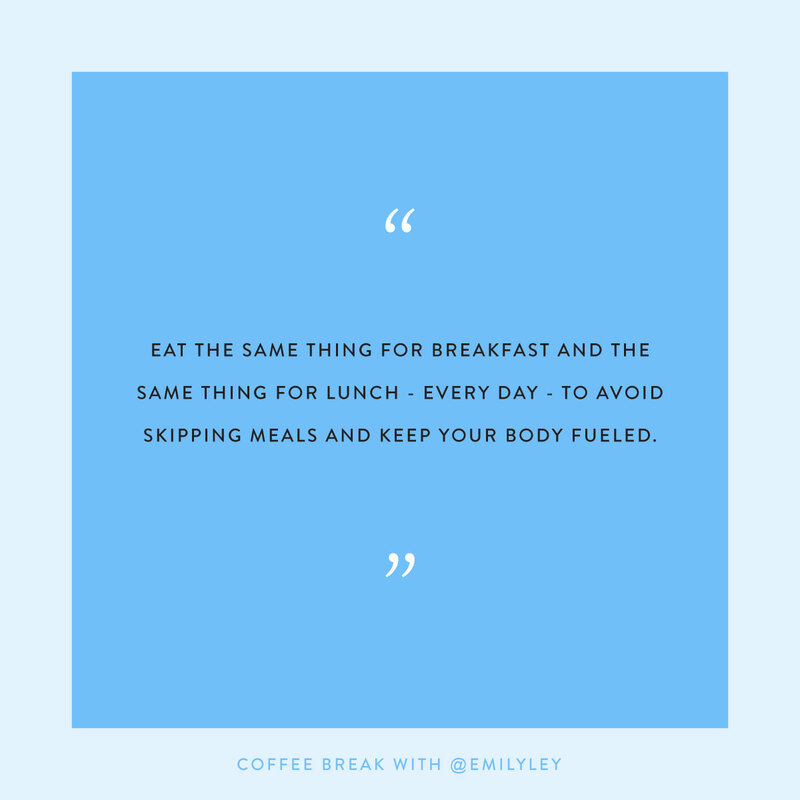 Coffee Break: This week on the blog, Emily shared her best tip to keep herself from skipping meals. 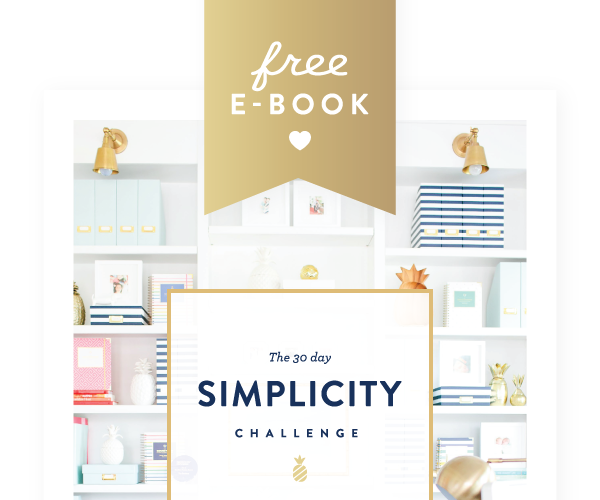 A must-read for all of you working ladies and mamas! Our March Playlist: New month, new playlist! Listen along to our favorite songs this month.